I'm am SO excited to share this card with you. I seriously think it's one of my FAVORITES!!! Between the Pop of Pink Designer Series Paper and Gold Foil you can't go wrong, right?! What I love about the Sweet Cupcake stamp set is it's a 3-step stamp. Pictures just don't do it justice! For the cupcake, I used Tip Top Taupe, Chocolate Chip and Early Espresso ink. With 3 step stamping, I like to start with 3 and build backwards to one. I started with Tip Top Taupe, then Chocolate Chip and finished with the Early Espresso. 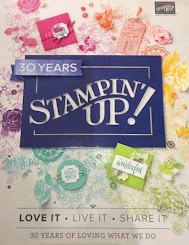 If you have any questions about the project or Stampin' Up!, please email me.